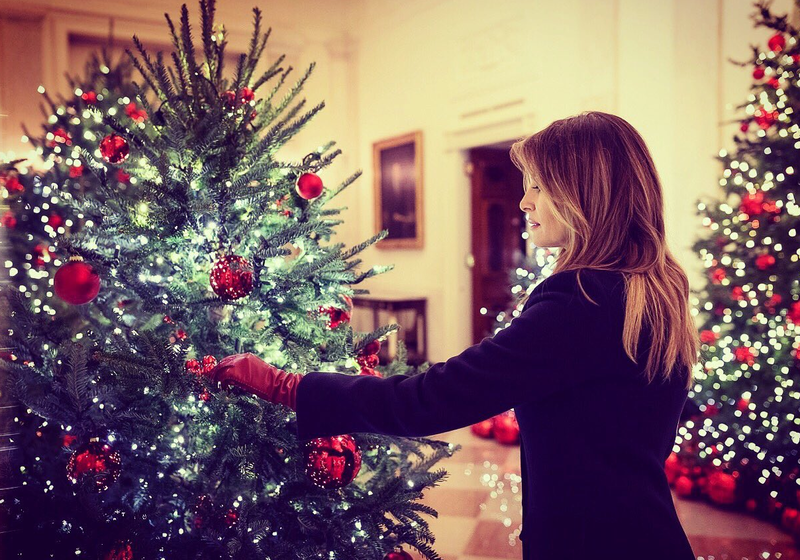 Ms Trump, still the most popular member of the current White House administration, gets to show once again where her forte lies by decorating the different rooms for the Christmas Season. Related coverage: Melania - Showing The World Her Inner Nancy Reagan. During her much talked about ABC interview earlier this year, which took place during her first solo tour as the US’s First Lady, Ms Trump claimed she was having a good time in the White House: “I’m enjoying it,” she said. “I love Washington,” and even her fiercest critics admit that Melania has changed for the better this year. The US media may not like the different style she clearly brings from her predecessors or the fact that she barely speaks in public, Ms Trump sure knows how to decorate the nation’s favorite setting. Related coverage: White House - Unleashed FLOTUS Orders Shock Staff Dismissal. The points she has scored in the world media both for her style choices over the past two years as well as during the hosting of the French Presidential couple during this Administration’s first state dinner in the spring was nothing less than remarkable. European media meanwhile has far less of an issue with Ms Melania Trump and does not see in her the personification of her husband’s policies. In the French and British media she is often complimented for her sense of style and even her diplomatic ways. The French style magazine Paris Match regularly does fashion sections on Ms Trump and the items she is seen wearing whilst the First Couple visit Europe regularly sell out soon after. Also, the fact that she speaks various European languages comes in handy as pundits could see during a recent NATO summit that it was indeed Melania who could speak to Ms Merkel in German and put her at ease over her husband’s sometimes ‘undiplomatic’ comments. to the golden water staff , great Christmas trees scenery to you all ,, may all your hopes dreams wishes find the best direction. Well basic / first ~ ?? to wish you all a very fine Christmas season. gosh it can get busy , sometime s busy is perfectly amazing . cheers ! I love it, she's trolling lefties with her christmas style. Its like Hallmark Channel on steroids.